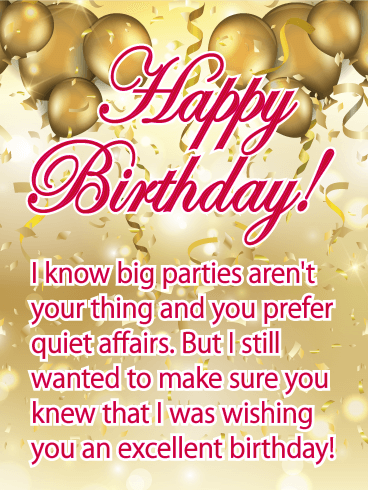 Happy Birthday - I know big parties aren't your thing and you prefer quiet affairs. 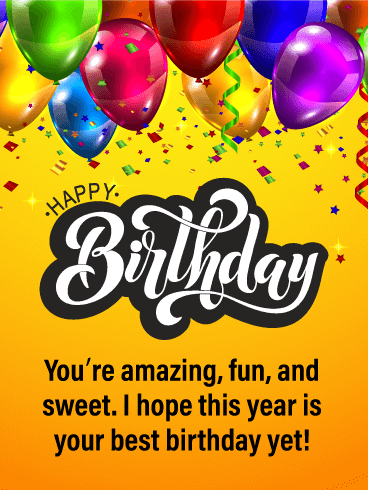 But I still wanted to make sure you knew that I was wishing you an excellent birthday! 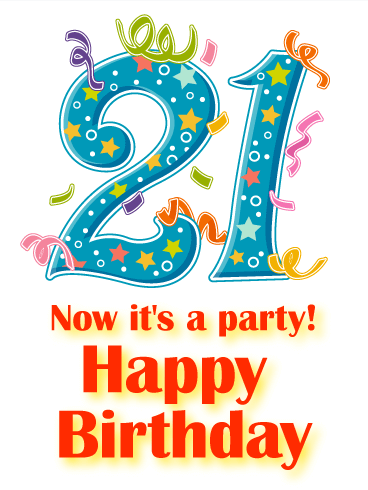 This 21st birthday card is packed with a whole lot of fun for someone special! 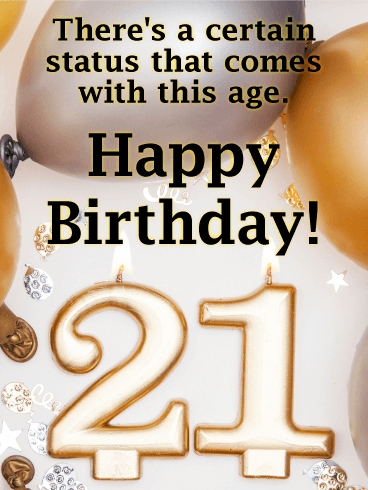 A cheerful & festive "21" design is surrounded by colorful confetti, and the words below bring that same festive spirit by officially welcoming them to this milestone year with the biggest party ever! No matter who you're sending it to, they're sure to be smiling bright! 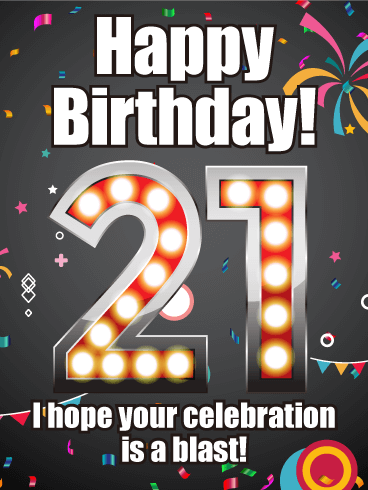 Turning 21 comes with a certain status, and this card is the best way to let them know! A gold & silver background of balloons and confetti surrounds gold "21" candles which burn brightly to help them celebrate in style. 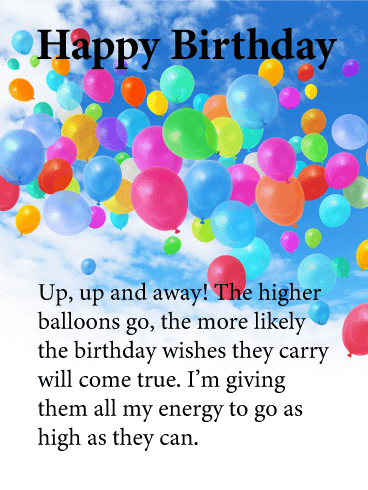 Below is your wish for a milestone birthday that's full of fun and totally unforgettable. 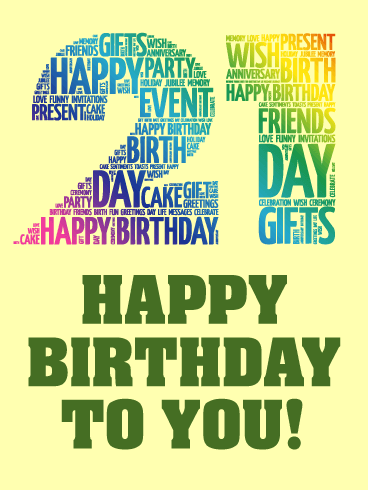 When it comes to celebrating their 21st birthday, this birthday card brings a rainbow of fun to their big day! Above, the number "21" is big & boldly displayed, made up of different words to help commemorate their day. 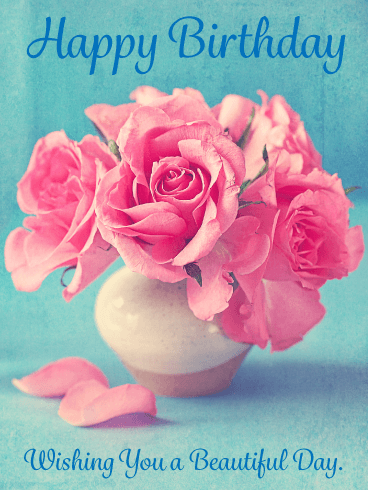 And below is a colorful "Happy Birthday" wish against a rainbow background. It's the perfect choice for someone with a vibrant personality! Turning 21 is a pretty big deal. 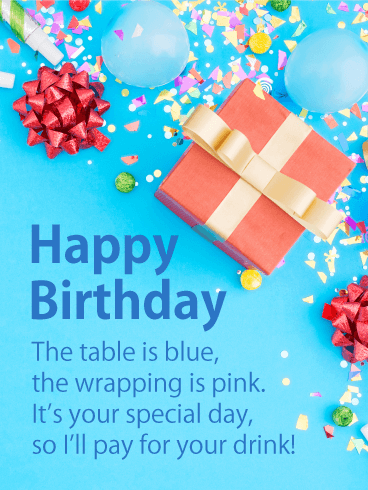 This birthday card is a fun reminder of that! 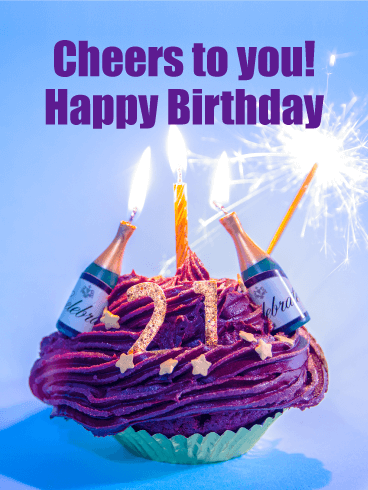 Featuring a cupcake topped with frosting, a glittery gold "21" design, star confetti and Champagne bottle candles, it's an awesome way to toast someone important in your life is they celebrate this important milestone. 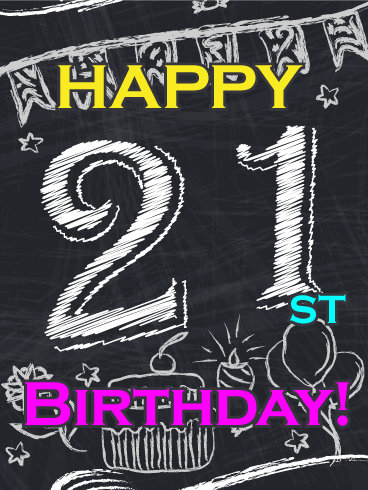 Simple but festive, this 21st birthday card has a charming chalkboard design with pops of color for added fun! 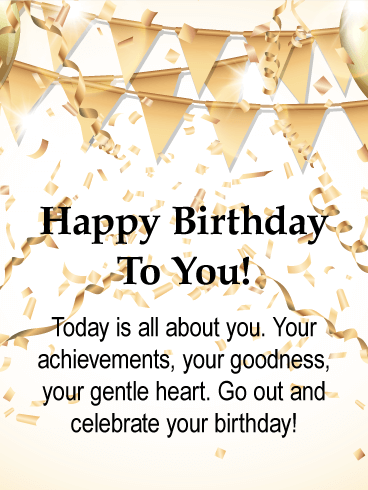 Friend, family member, whoever it is, they'll appreciate your thoughtfulness in wishing them the best as they celebrate their milestone birthday. Their 21st birthday calls for a celebration, and this birthday card has party written all over it! 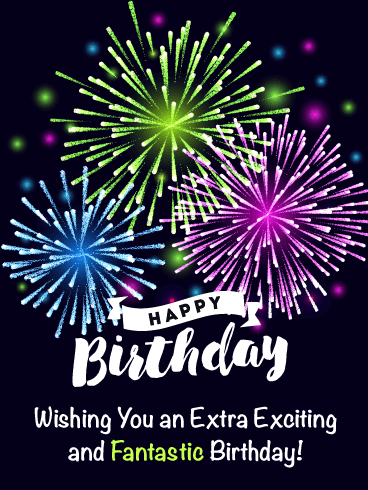 Have them ready for lots of fun on this exciting milestone birthday!